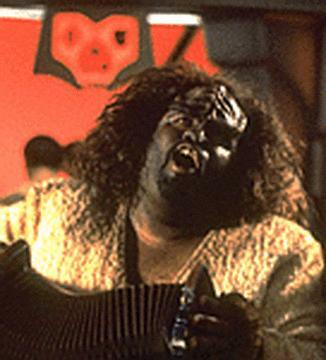 The official Klingon materials often seem to offer variations on “Humans do X, and Klingons – get this – do the opposite of X!” as if it’s a bumpy-foreheaded Bizarro World. Nice to see that Okrand’s music section goes beyond that – I’m looking forward to the intervals section, where I am looking forward to seeing some math! That’s one thing that would bother me as well–the simple negation of statististically likely cultural artifacts worked well enough for the language, I guess, but the likelihood of a culture having the exact opposite type of behavior for each and every human one is pretty low and would probably make no sense from an evolutionary standpoint. I’m still reading through tons of old HolQeD and listserve messages about music–lots of things discussed, but so little, um, “verified” so it still looks like Ill have to sort through the issues myself anyway.